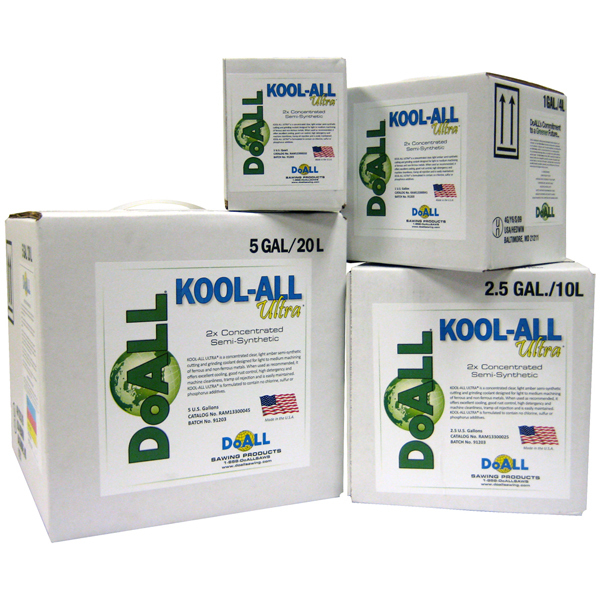 Our Kool-All Concentrate makes up 400 Litres of clear dark blue semi-synthetic cutting & grinding fluid. It is formulated to contain no chlorine, sulphur, or phosphorous additives. This is excellent for the machining and Sawing of Aluminium, Ferrous and Non-ferrous metals. It is operator and environmentally safe, exhibits good detergency, and rejects tramp oil. It offers long sump life and is easily maintained.